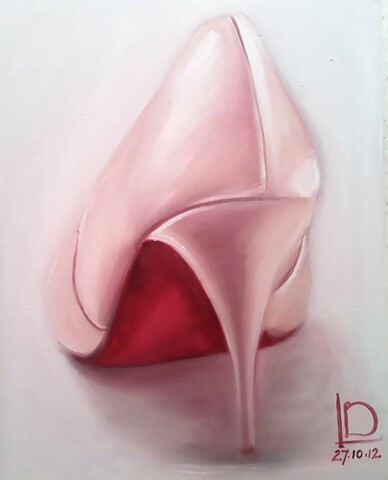 This single Louboutin shoes makes a striking image with its famous red sole taking centre stage. This was a wedding present from friends to the new bride, and will be a lasting reminder of her special day... and her very special wedding shoes. I've added the wedding date under my signature, for an added personal touch. The painting was 40cmx50cm. A similar painting would cost £150 to be commissioned. If you'd like a painted gift for your friend's wedding get in touch, and we can discuss what you'd like.